P - 243, Lake Town, Block - A, Kolkata - 700089, West Bengal, India. To envision the limits after conquering the pinnacle. To push oneself farther, and then push some more to measure achievements by bestowing aspirations. That is what it takes to be a Group that is easily distinguished amidst competition. And that is exactly what it takes to ‘Live Ahead’. Established in the year 1990 by Shri Ashok Kumar Goenka, the Group is founded on the rock-solid values of timely deliveries, transparency and creating long-term relationships. Eventually, in the year 2006, Shri Varun Goenka joined the business with a special emphasis on Project Development. The Group’s mission of developing superlative-quality landmarks was further accelerated in 2009 when Shri Anuj Goenka joined the Group to manage its financial matters; while in the year 2010, Shri Anant Goenka took over its Project Development Division. 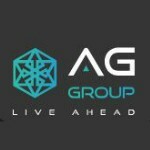 Presently, the AG Group showcases decades of excellence in the realty business. ‘Z’ Business Class Lifestyle, Kolkata, is its latest endeavour is bringing superlative spaces to the connoisseurs of fine living.